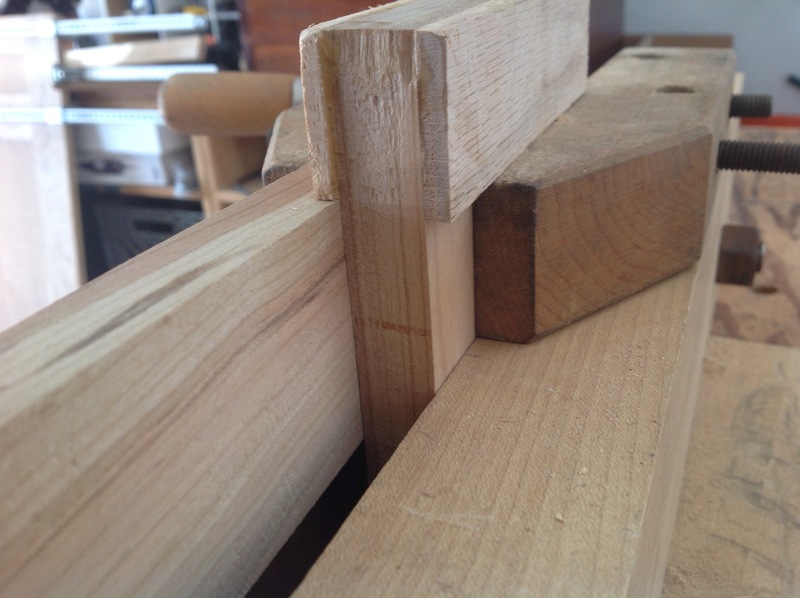 After posting about the mortise jig there were a couple of great comments. 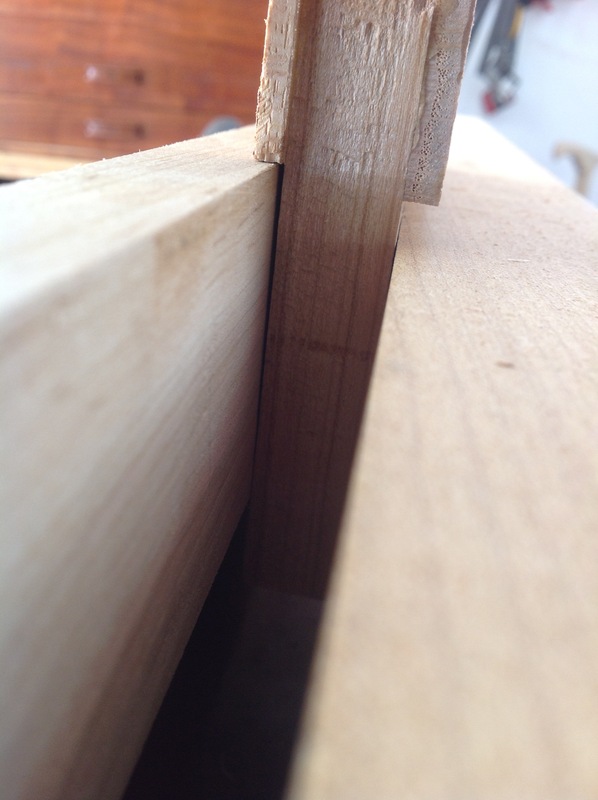 In particular the caution about ensuring that the jig is square to the board being mortised. This can be a frequent problem if your vise does not close evenly. Posting the picture you can quickly see what can happen and imagine the effect. In the comments Matt quickly pointed out the potential problem. Here’s a solution I tried over the weekend that worked extremely well. The picture shows the clamps used in my moxon vise, but I also put it to work in my regular vise. Along with this solution I also will take a close look at my bench vise and see if I can make some adjustments. I admire many of the small toolmakers that provide the tools we use. Speaking to many of them at Handworks and swapping comments on this blog and instagram, they are a tremendous group of hardworking, creative people. Analyyzing the mortises and tenons that I made previously, it became clear that I needed tto take greater care when making the joints. My mortises required sides that were at the correct angle. My biggest problem is that I had not realized it until the joints would not fit and my method for checking less than optimal. 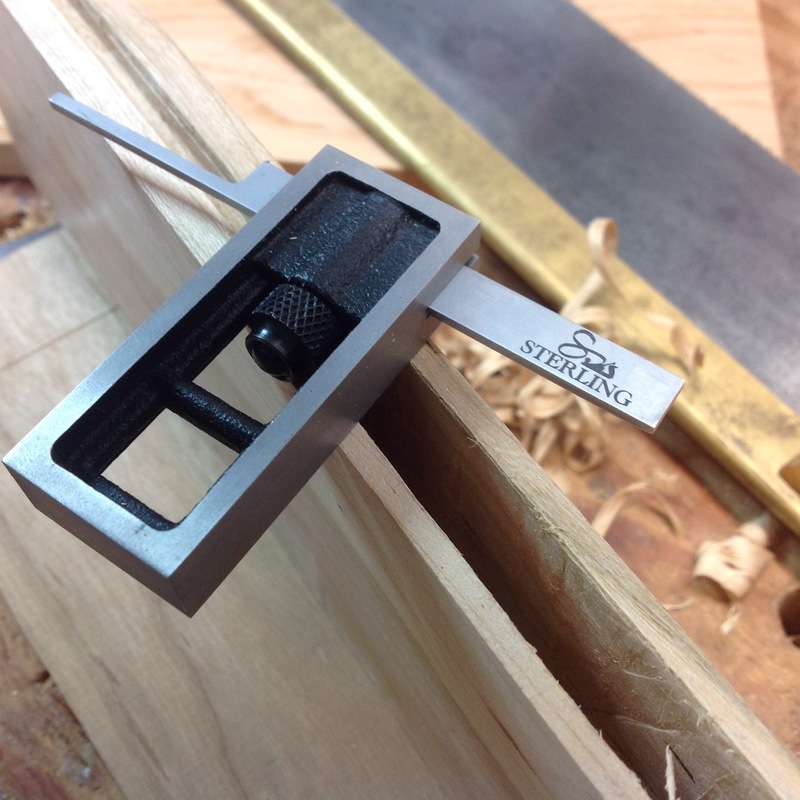 Then I remembered the dovetail square made by Chris at Sterling Tools, the “blade” was narrower than my small square and would fit into the smaller mortises allowing me to see the angle of the sides. For a few dollars more it came with a 4″ or 6″ measure that was perfect for another task I had coming up. I’ll also give it a whirl when I get to my next dovetail project. While on the site I also took a look at the protractor. Another tool that I have been looking for but had not found the right one. When the protractor arrived I was very happy with the construction, ease of reading and that the kknow b is metal. In the pictures it is hard to tell. One of the things I like most is the length of the ruler. 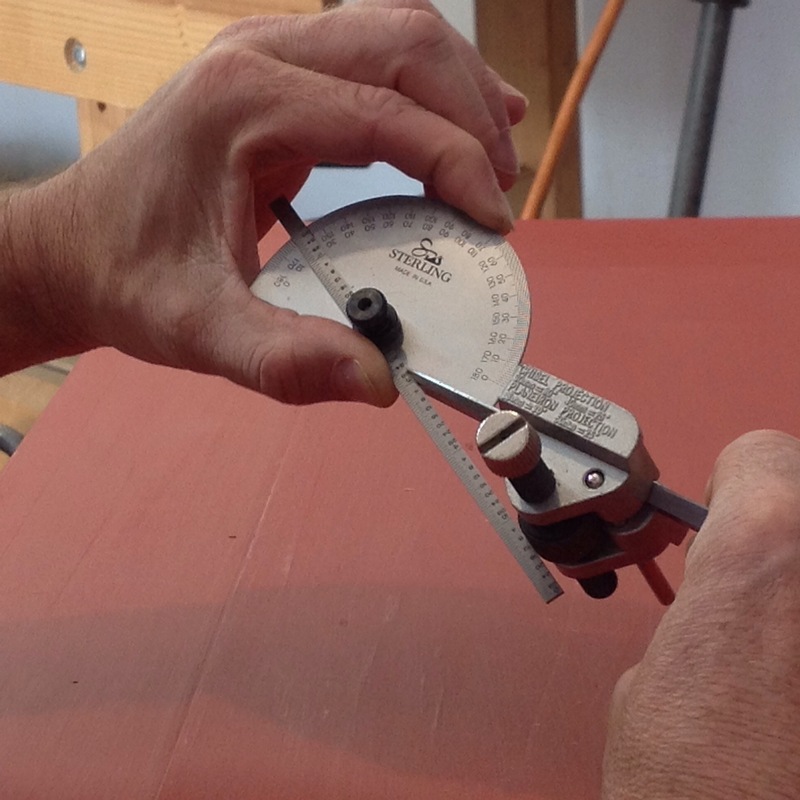 In the picture you can see that I am abple to set the jig wheel on the ruler and measure the angle. Fantastic! I’m not one to talk about the unboxing of tools but needless to say these tools are well made,, perform well and carefully packaged. I look forward to meeting Chris in person in the future, in the meantime Thanks for some great tools which I expect to use for many years to come. Many woodworking books occupy my shelves. Several have been thumbed through multiple times, others such as the Anarchist Tool Chest have been read cover to cover, there are even a couple that have yet to be read. A month ago a new book was added to the shelf or let’s say may get added if it ever leaves my side. Essential Woodworking Handtools by Paul Sellers. There are many reasons to acquire and read woodworking books, pleasure, curiosity, historical perspective, knowledge. This book fulfills all categories. Essential Woodworking Hand Tools is no small volume. It is a hefty 480 page, hardcover bound book packed with photographs and detailed descriptions. Reading it is a pleasure, I have found myself looking up one topic and 20 pages further on into the next topic before I realize it. The photography is great but more imortantly rlevant clearly showing the reader details that the word describe.Most importantly this book has not left my side since purchase. Turning to it multiple times is the greatest testament to its value. Today there are several grooves that must be placed in the back of the tool cabinet. Struggling last time to get a clean groove in some difficult wood, I picked up the book and realized that in difficult grain I could use a mortise gauge to prepare the surface prior to using the plane, thought had not crossed my mind. This along with 18 more pages of information, some familiar and other new, all explained in well written text and clear photography. 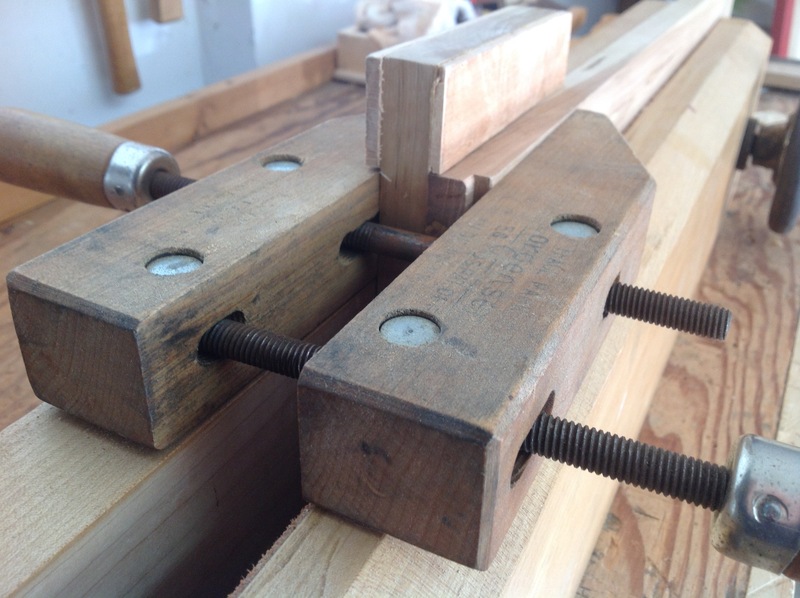 Curious about router planes and how to use them when you have tenons of great length? It’s in the book! This came up in one of my blogs a couple of weeks ago and you guys gave me quick help. As an alternate it is clearly spelled out and described by Paul Sellers. Want to know how to shargpen your router bits, saws, or drill bits? look it up. The wealth of information is amazing. There is one essential tool missing from the book, which is the most critical item Paul taught me in his 9 day foundation class, “listen”. When I mention it today I hear in my mind his voice and the pause as the sound of the saw or chisel tells its tale. However the accompanying videos and his hard work on the web provide this as well. This is a must buy book!